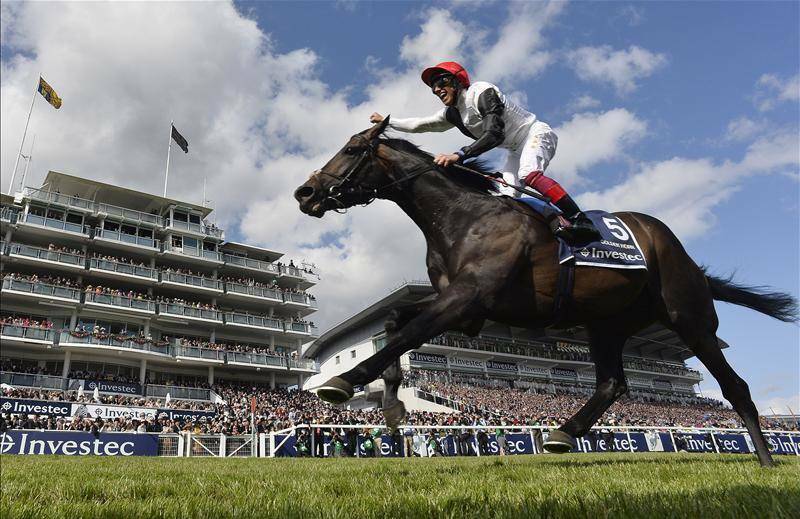 Its time for another high quality flat racing at York as Ladbrokes offer a massive price boost of 5/1 on Golden Horn to win the Juddmonte International Stakes Wednesday! 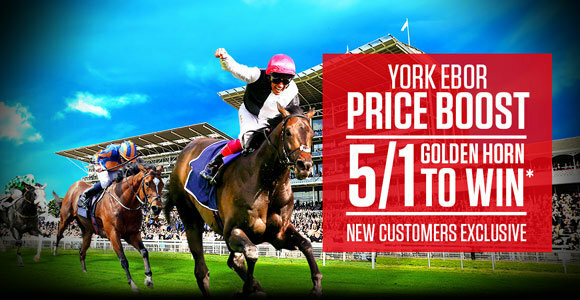 All the money has come in for the Derby winner, pushing the price down to 4/6, so Ladbrokes offer of 5/1 is a price that is simply dripping in value! It should be a scintillating race as The Derby winner Golden Horn goes up against the 2000 Guineas winner Gleneagles, and with only eight runners declared there’s plenty of opportunities for each way punters. With two of Europe’s top trainers John Gosden and Aiden O’Brien up against each other, the mount of Frankie Dettori, Golden Horn rightly heads up the betting as race favourite. Having already won the Dante Stakes, the Derby and Coral-Eclipse Stakes this season, the horse looks made for the mile and a quarter trip at York, and should be much the fresher having missed the King George VI and Queen Elizabeth Stakes at Ascot last month due to soft ground. Sit back and take in this Group One race, and don’t forget to pick up your enhanced 5/1 on Golden Horn – with the price set to shorten the 5/1 on offer from Ladbrokes is simply too big to miss!